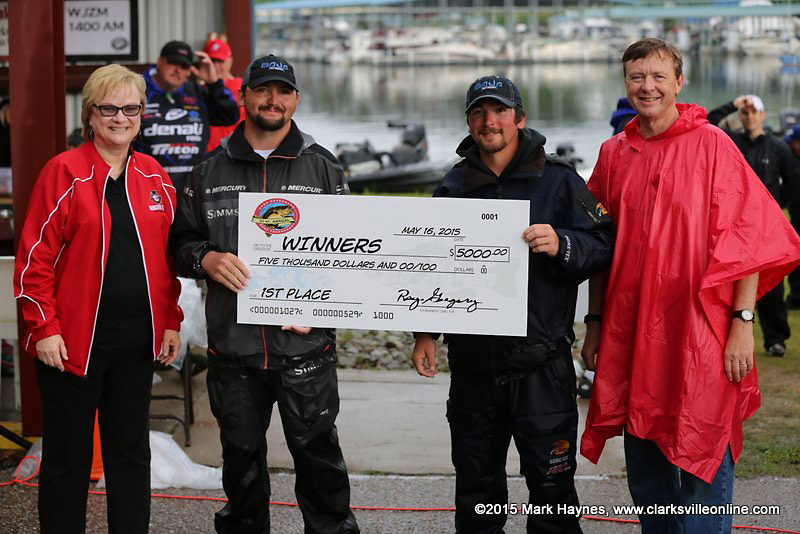 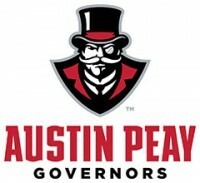 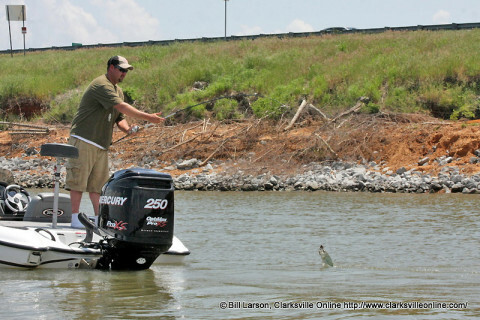 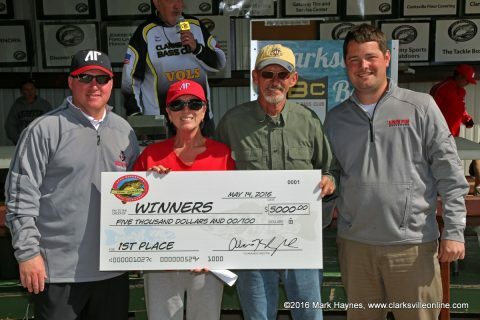 Buchanan, TN – The 21st annual Austin Peay State University Governors Bass Tournament was held in the rain Saturday, May 16th on Kentucky Lake. 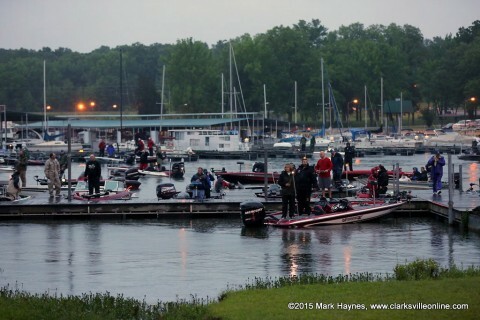 Boats launched from Paris Landing State Park at 6:00am. 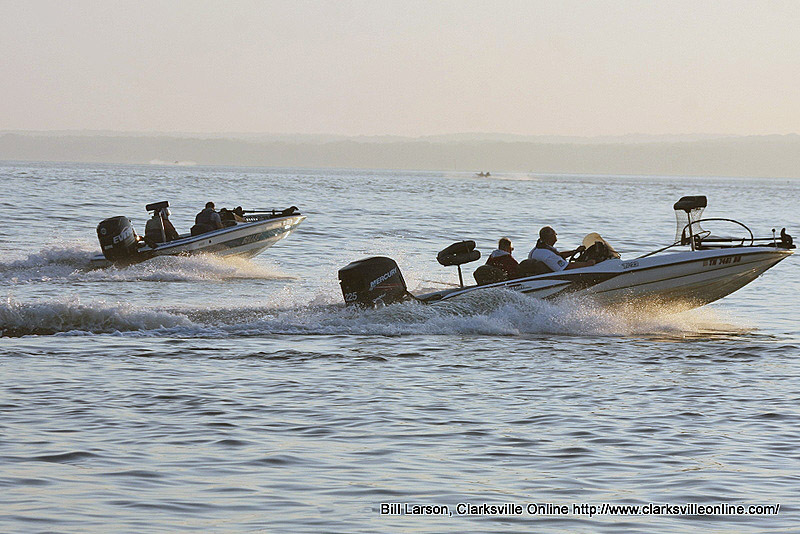 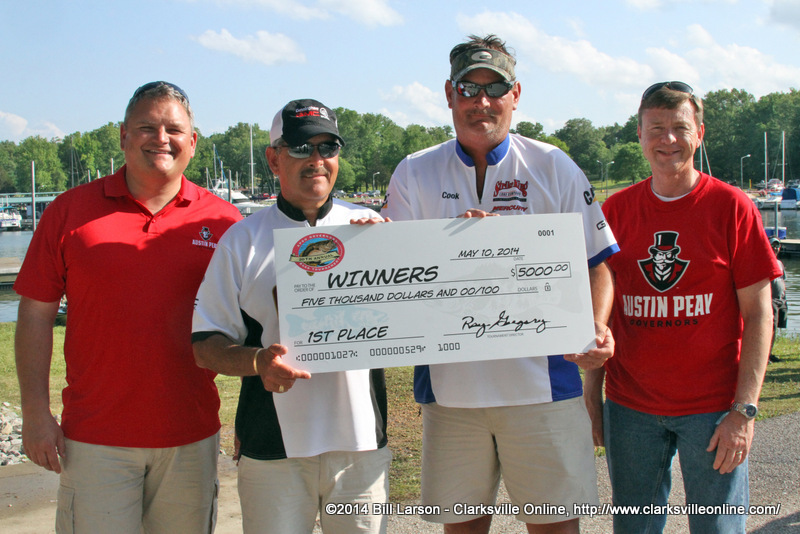 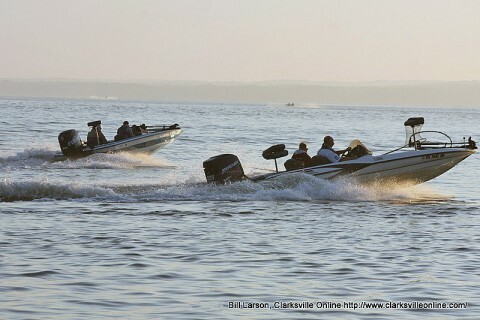 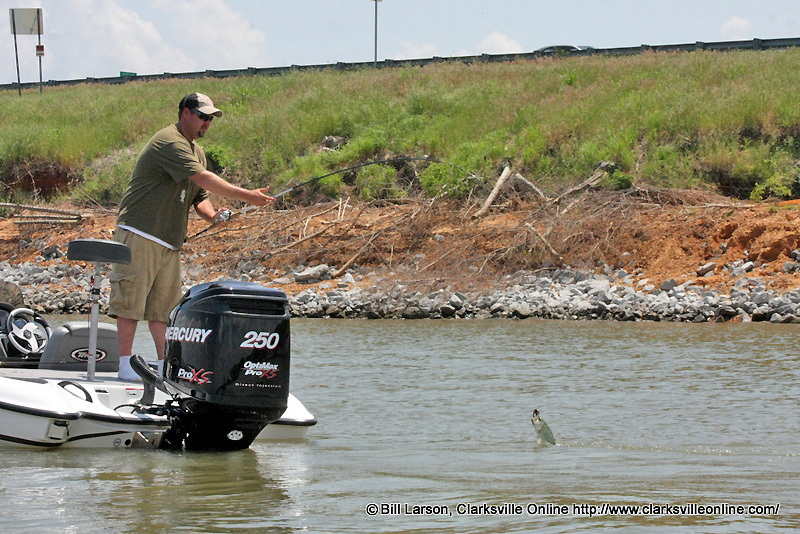 There were 212 boats registered for the event and 200 competed for the $12,000 in prize money. 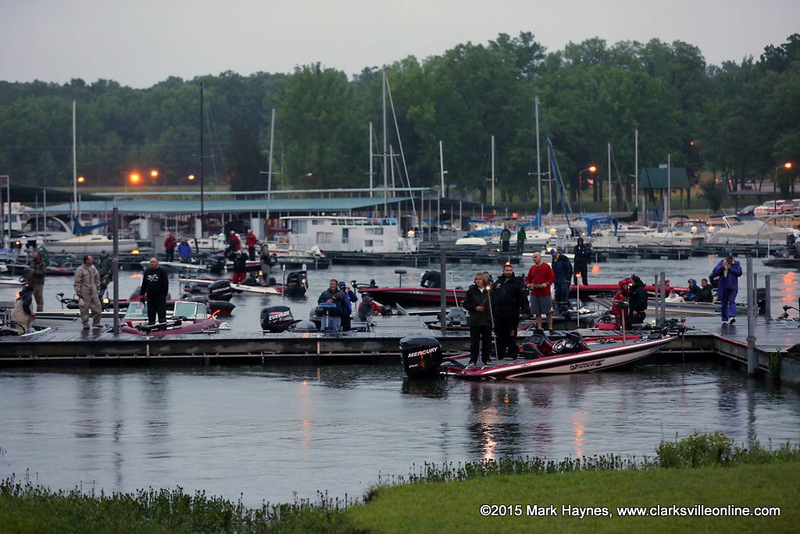 The weather was clear some but mainly held to a steady rain for most of the day with periods of light drizzle. Despite the conditions, the fishermen were in high spirits at the start of the event.